Honey, Cream, and Berries. Served Cold. KeyJuice is a juice company you need to know, they’re the whole package, killer branding/packaging, a refined approach (Mixologists, Labs, Molecular Gastronomy, etc…), and dope flavour profiles that taste like no other. Berry White might sound like an overly popular Strawberry Custard at first (Strawberry vapes are everywhere! ), but it’s the ‘Served Cold’ that separates this profile from the pack. This juice is very refined and well balanced, all the flavours tickle your palate just the perfect amount. The Honey, Cream, and Berries are scrumptious, and then there is a minute cooling sensation, it hits you off guard if you’re not expecting it. 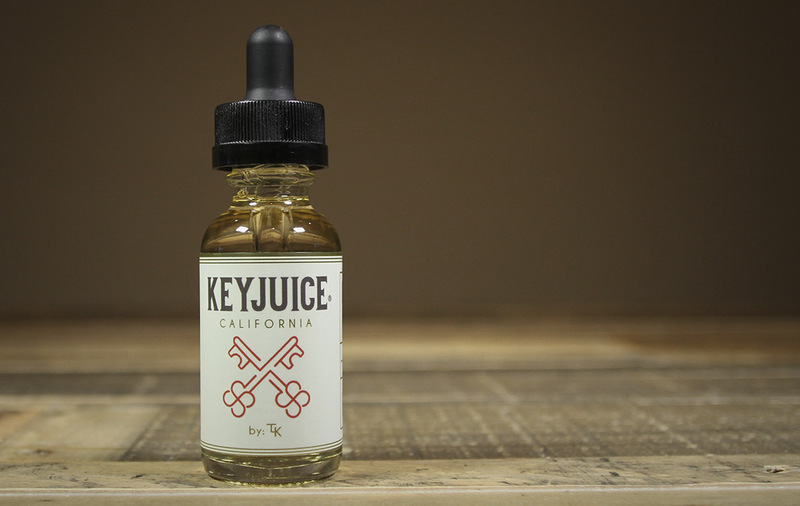 This is by no means a menthol heavy juice, we almost shouldn’t categorize it as one, KeyJuice has shown some true craftsmanship and restraint in the amount of menthol going on. This is a must try juice. We haven’t put the bottle down since we cracked it, and it looks like it won’t last the day. If you’re a Strawberry Custard/Cream fan, grab some right friggin now! Inhale: Creamy, Rich, Strawberry Custard, Sweetened with Honey and a slight Cooling sensation on the tall end. Exhale: A Delicious mix of Berries & Mint with a touch of Cream. Best on: Good in Tanks, Better Dripped. All Day Vape: So Good, good luck getting the bottle to last a day!